The CR-10S imitates its predecessor (Creality CR-10) in terms of its looks and design. It has exactly the same build area as the cr10 of 300x300x400mm and is fitted with a glass print bed. The glass plate on the cr10s has well-rounded edges and perfectly fits the aluminum plate below it. It also comes with paper clips that prove handy in keeping the glass plate in place and also add to the ease of removing final prints from the print bed. The design has been kept minimalistic, with clean lines and an ergonomic appeal. The CR-10S has been built with a special aluminum frame that adds to its sturdiness. The dual lead screw design on this one further helps in stabilizing the structure when printing larger, taller models. 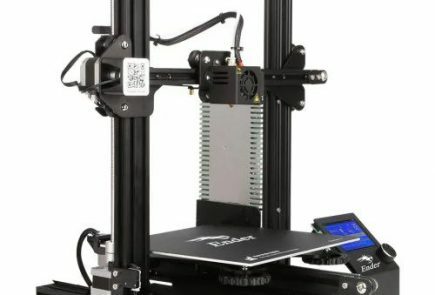 The Z-axis dominates the movements of this cr-10s 3D printer, with the entire frame going back and forth on the linear bearings that move to and fro on the tracks. Creality CR-10S also comes wrapped in a plain cardboard box that looks exactly like its predecessor’s, the cr10. In fact, the labeling on the box says Creality 3D CR-10, making it easy to confuse this for a regular CR-10 printer. You have to look closely to find a small label that specifies the model as the CR-10S. The printer is neatly packed and well-secured in foam trays, in the trademark Creality style. The whole printer is broken down into four sections – the upper and lower frame parts, the control box, and a carton that includes the rest of the components such as the quick start guide, micro USB and card reader, frame parts, spare parts, tools needed for assembly, filament remover, cleaning nozzle needle, PLA filament, filament holder, AC and USB cables, and the filament detection run out switch. The quick start guide accompanying the CR-10S is no better than the one you get with CR-10 – that’s really something Creality could work on. However, the micro USB here contains all the information you need to set up this printer and is easy to follow step-by-step instructions and references for the benefit of beginners and amateurs. The one thing that you need to pay specific attention to while setting up the cr10s 3D printer is adjusting the six barring wheels on its Z-axis to make sure they all move under the same force for smooth movement of the glass print bed. Otherwise, it’ll continue to be wobbly and hamper the print quality. Other than that, the printer is easy to set up and can be put together in a matter of minutes. Creality 3D printers are designed to be simple and reliable, and the CR-10S is no exception to that. This plastic extrusion Creality 3D printer is built using the Bowden extrusion technique. The CR-10S comes with a heated bed and a glass print surface, which makes it ideal for working with PLS filament. One of the biggest highlights of this printer is its bigness, both in terms of its size and its print volume. 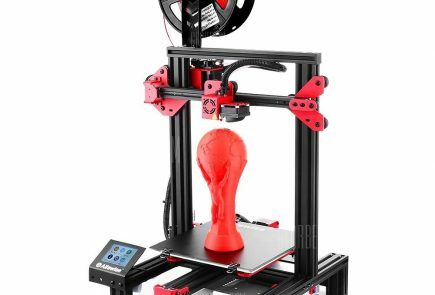 Just like the CR-10 printer, the 10S also sports a build volume of 300x300x400mm, which pack in great versatility in terms of the range of items you can print with this ‘DIY Kit’ and is downright extraordinary for a 3D printer in sub -500 price range, where other printers in this category usually top out at 200mm. The linear bearing system, along with the extruded aluminum struts, works well to provide a smooth and steady motion system that reflects in the high quality of prints. The ability to swap nozzles is another big advantage when printing with the CR-10S, as installing a larger extrusion nozzle, say 0.8mm in diameter as opposed to a standard 0.4mm nozzle, can speed along the printing process for larger prints without compromising on the detail. One of the key improvements, however, remains its filament-out detection system that sends out alerts and brings the printing to a halt if the filament runs out. This is a game-changer for the CR-10S, as a large 3D printer as this with long-running print jobs is likely to run out of filament more often than not. Another cool feature of the creality cr-10s is the print resume, which allows the printer to resume printing right from where it stopped, in case of power outages. 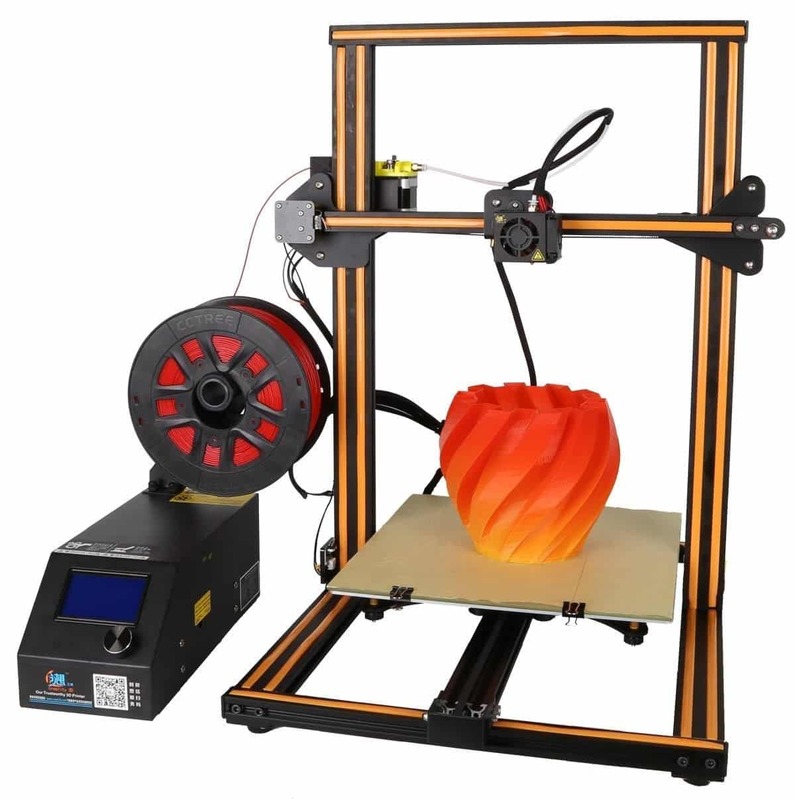 The 3D printer comes with a separated LCD control box, SD Card support for offline printing as well as a USB adapter cable for linking it to computers. The extruder made of molten plastic is rather sturdy and is attached with a very strong spring that keeps the filament from skipping. 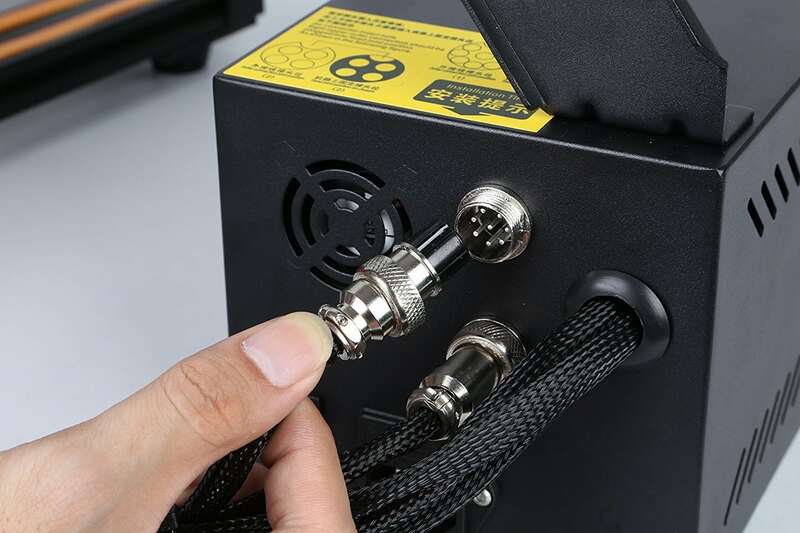 The highlight, of course, remains the filament-out detection sensor that makes sure that the device is not left running in case the filament is broken or runs out. This eliminates the need to watch over long-running print jobs like a hawk. The three clear improvements in the CR-10S as compared to the CR-10 are the Z-axis threaded rods, filament-out detection system, and print-resume feature. Of course, Creality has also tweaked some basic design elements and functionalities in this one for better print results. 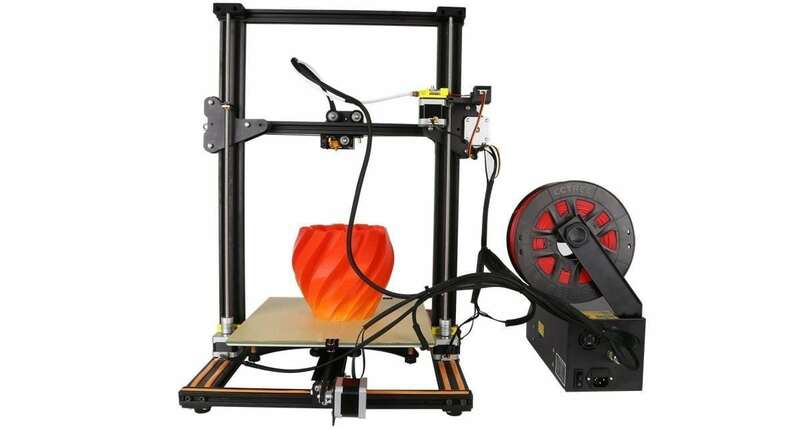 It all boils down to whether these upgrades warrant the $100 price difference in deciding whether this 3d printer is the right one for you. 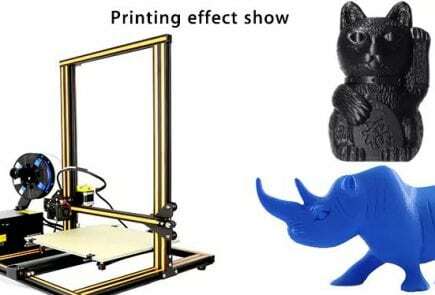 The answer to that question lies in your personal requirements from a 3D printer and complexity of use. For anyone looking for finer details in print results and a machine that offers it without the need for tweaks and adjustments for different prints, the CR-10S is definitely worth considering. PS: We got a huge discount from GearBest using the coupon GBCR10STY.